o Topic: Religious schism. 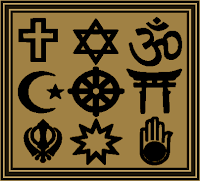 How and why have various religions divided into sects and what are the social, economic, and political implications of these divisions? o Topic: Youth spiritual empowerment. How can we engage, equip, and enable young people to thrive in a multi-religious and multi-cultural world? o Topic: Favorite fables. What is your favorite tale from the history of your faith tradition? Visual aids are encouraged at this celebratory evening of storytelling! o Topic: Forgiveness. What perspectives and practices does your faith tradition offer on forgiveness? Join us the fourth Thursday of every month to share prayers, readings, poems, scripture, and music that illuminate specific themes. These gatherings are intended to foster spiritually heightened conversations, fellowship, and common cause. All are welcome. For more information, contact Dianne at 605-695-7596.